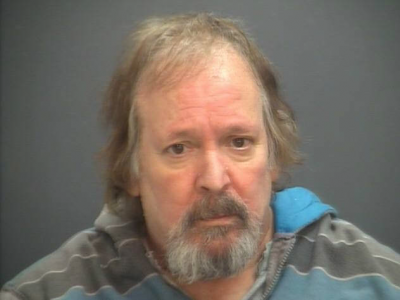 When officers arrived on scene, the male, who was later identified as the alleged suspect during the investigation as Gary Lee Shiflett, 64, from Waynesboro, fled the scene in a white late 90s model full-size Dodge van after being lawfully ordered by the officer to stop. Shiflett drove through the back and front yard of the residence and on to South Delphine Avenue. Shiflett went northbound to the intersection of East Main Street and South Delphine. He struck another vehicle at that intersection causing minor injury to the driver and moderate damage to the vehicle struck. Shiflett fled this accident scene eastbound on East Main. Officers caught up to him and initiated a pursuit on East Main. Shiflett then drove onto Hunter and 10th Streets to include through several yards then back onto South Delphine, passed the accident scene then North Delphine Avenue. Shifflett continued northbound and turned left onto 2nd St. Officers discontinued the pursuit due to poor road conditions and an increase in vehicles and pedestrians present in the area. An officer was able to maintain a safe visual of the vehicle from a distance as it went down Bridge Avenue to Hopeman Parkway and left the city limits of Waynesboro on Hermitage Road. The Augusta County Sheriff’s Office and Virginia State Police were notified to be on the lookout. Shiflett’s whereabouts are currently unknown. The tag displayed on the vehicle is incorrect. The Waynesboro Police Department asks that if you see him or his vehicle please call 911 or Crimestoppers. The most recent photo available of Shiflett is attached below.